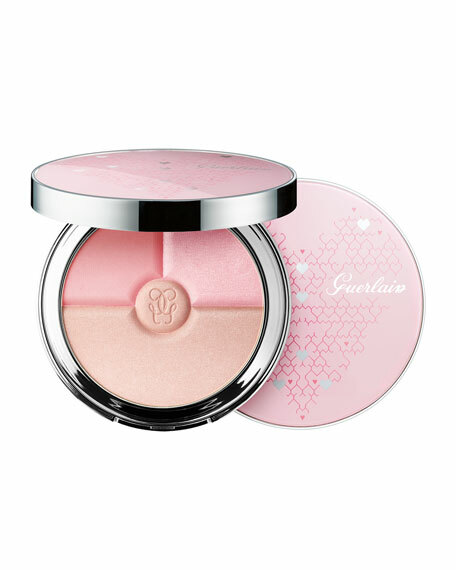 Guerlain has created an ideal strobing palette to sculpt and refine the face into a V-shape inspired by Korean contouring. 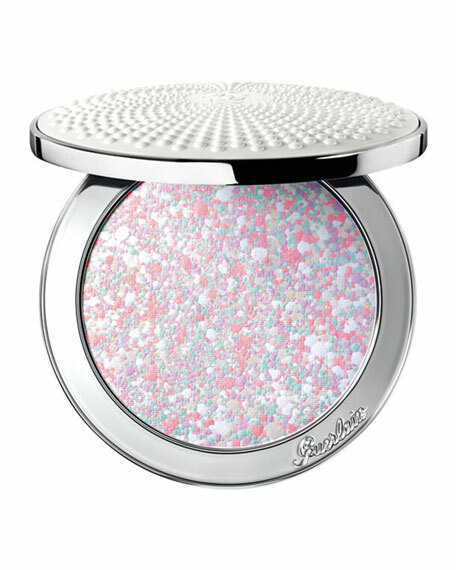 In a single compact, three contrasting shades of powdertwo blushes and one highlightercome together to luminously sculpt the complexion and redefine the facial contours into a heart shape. A dark pink shade to bring out the cheekbones, an iridescent pink shade applied to the hairline, and a pearly beige tone to refine the nose and highlight lips. 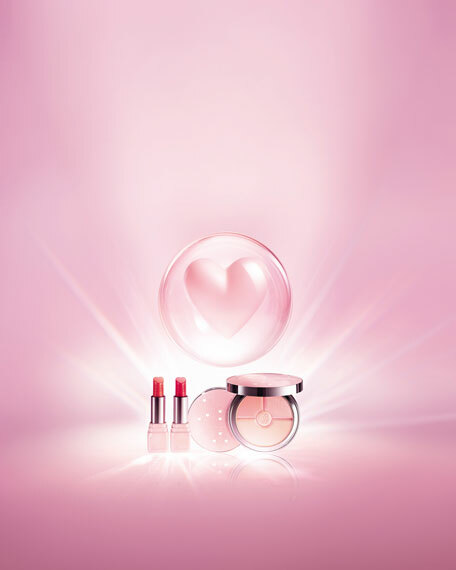 Météorites Heart Shape's impalpable, lightweight texture becomes one with skin, leaving a rosy, glowing complexion all day long. 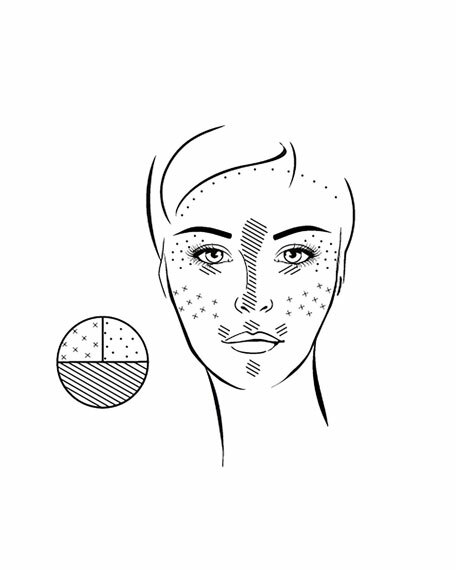 For the heart-shaped or V-shaped technique, apply the dark pink shade in the hollows underneath the cheekbones, starting from the nose and working up to the temples. 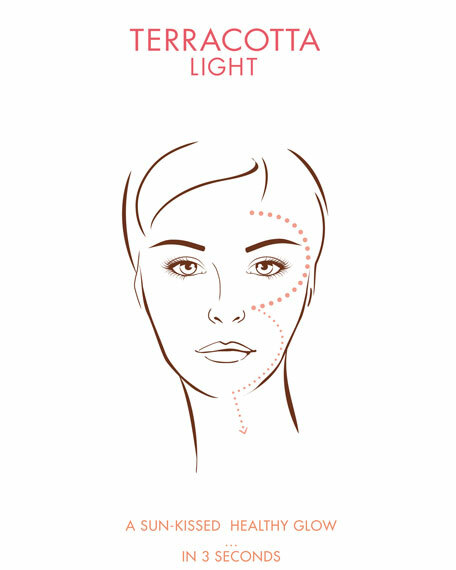 The iridescent pale pink shade is applied to the areas to be highlighted: the top of the cheekbones and the contour of the face. Finally, the pearly beige section, applied to the bridge of the nose and lip contour, brightens the whole look. For in-store inquiries, use sku #2488217.